HARARE – Precision Oil Seeds International (Precision) says it has contracted farmers to plant over 15 000 hectares (ha) of sunflower this year in an effort to reduce importation of cooking oil raw materials. The country, which is battling a debilitating foreign currency crisis, recently lifted a ban on cooking oil imports after it experienced intermittent shortages of the commodity ahead of the festive season last year. 80 000 small holder farmers registering to grow the crop this season. “Zimbabwe was a major sunflower grower in the 1990s because the crop does not require intensive farming practices, but we lost it along the way. It’s now our desire to see the country going back to be a major cooking oil producer again,” he said. “We have also contracted small-scale farmers to plant 1 200 hectares of soya beans, with production for both crops happening in Mashonaland East, West, Central and Midlands,” he added. Sunflower production plummeted to a low of 6 900 tonnes in 2012 from a high of 68 300 tonnes in 1991 due to lack of clearly defined competitive markets, as most farmers moved to soya beans and cotton seed. 300 000ha out-grower programme that will see up to 300 000 smallholder farmers being turned into net exporters and at least 1,2 million people benefiting from trickling down effects of this national project. Masvikepi noted that the company targeted small-scale farmers and provided them with seed, fertilisers, pesticides and herbicides and technical support from skilled agronomists, complemented with harvest facilitation, marketing and sales to ensure efficient and equitable production of oil seeds. “This decision arose out of the realisation that while the country has an ideal production environment for oil, it still imports virtually all of its oil seed needs. 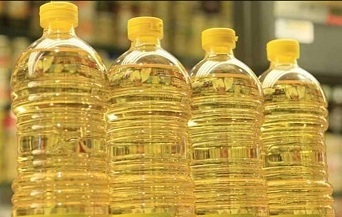 “Through the oil seed association of Zimbabwe, Precision aims to improve foreign currency availability through import substitution from increased and sustainable utilisation of land and improved employment in agriculture and the agro-processing industries,” he said. The latest development comes after OSAZ partnered with a German investor in a multi-million dollar venture towards the establishment of a sunflower seed oil processing plant that will cushion the country against further pressures on foreign currency incurred through soya bean imports. Zimbabwe has for the past few years been incurring heavy costs through soya bean imports running into at least US$200 million annually, which continue to put pressure on the country’s foreign currency reserves. Finance minister Mthuli Ncube recently said there was need for enhanced production to solve the twin evils of budget and trade deficit, which continue to haunt the economy. Sunflower is a very drought resistant crop and should provide some production for farmers in dry years. It will also help with crop rotation and avoid monocropping.